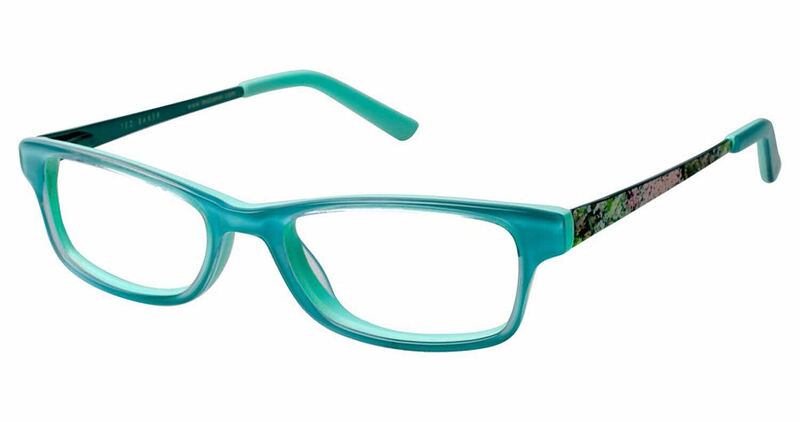 Ted Baker B934 is a Full Rim frame for Girls, which is made of Plastic. Ted Baker B934 Eyeglasses come with a cleaning cloth and protective carrying case. These glasses are a fun, stylish color of aqua green. Lightweight plastic frames make them very comfortable. Love the colorful side bars which are splattered with green and pink, giving an accent of flair to these modern designer glasses. Exactly what I was looking for.